The "board foot" is a unit of measurement used to calculate the volume of a given amount of stock. 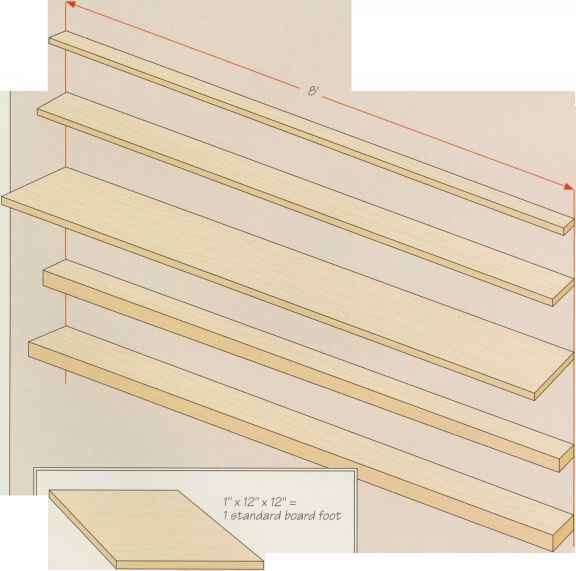 As shown in the illustration below, the standard board foot is equivalent to a piece that is 1 inch thick, 12 inches wide, and 12 inches long. 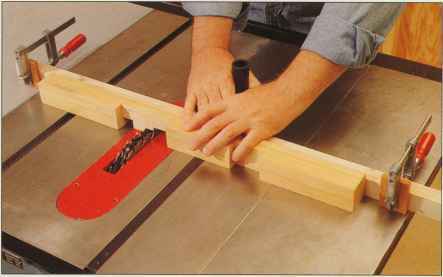 To calculate the number of board feet in a piece of wood, multiply its three dimensions together. Then, divide the result by 144 if all the dimensions are in inches, or by 12 if just one dimension is in feet.